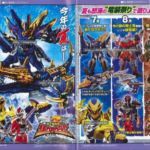 Tokunation › Super Sentai › Kishiryu Sentai RyuSoulger Q3 Catalog Images Released- Multiple New Kishiryu Revealed! 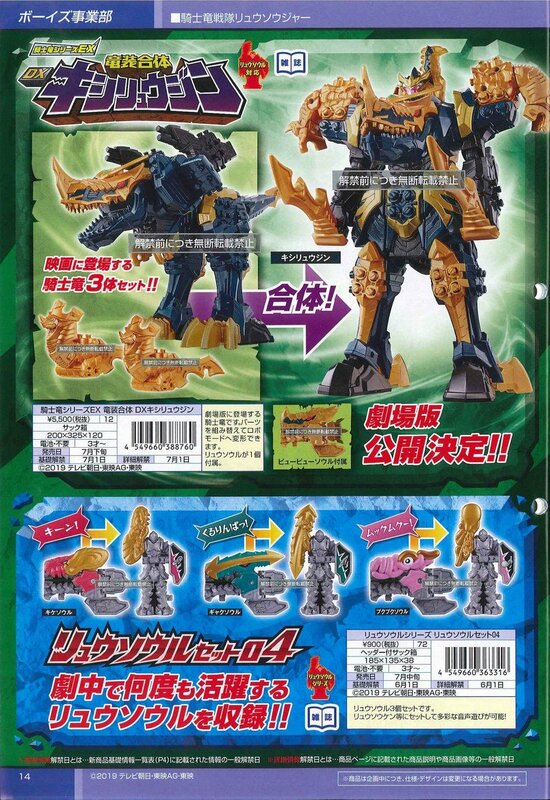 *Twin Raptor Kishiryu, Shine & Shadow. Combine to form "CosmoRaptor." 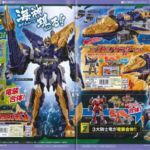 *New KishiRyu, "PachyGaru"- a pachycephalasaurs. 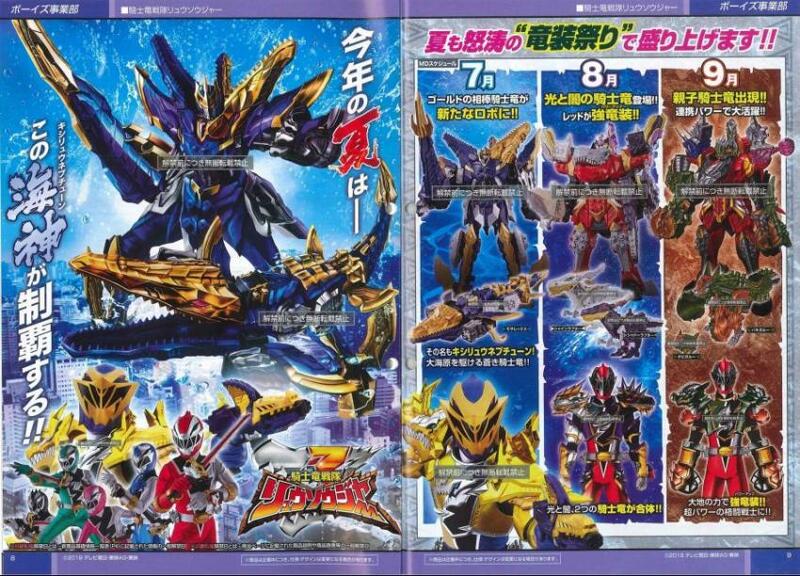 *movie exclusive this year is "KishiRyuJin," a dragon-based redo of Tyramigo. I really hope those armors aren't exclusive to Red. I may tolerate Koh for now but make him another Daigo and I'm goung to be very pissed with Ryusoulger. And Toei wondered why Sentai is failing (granted, it's not the main reason, but still). 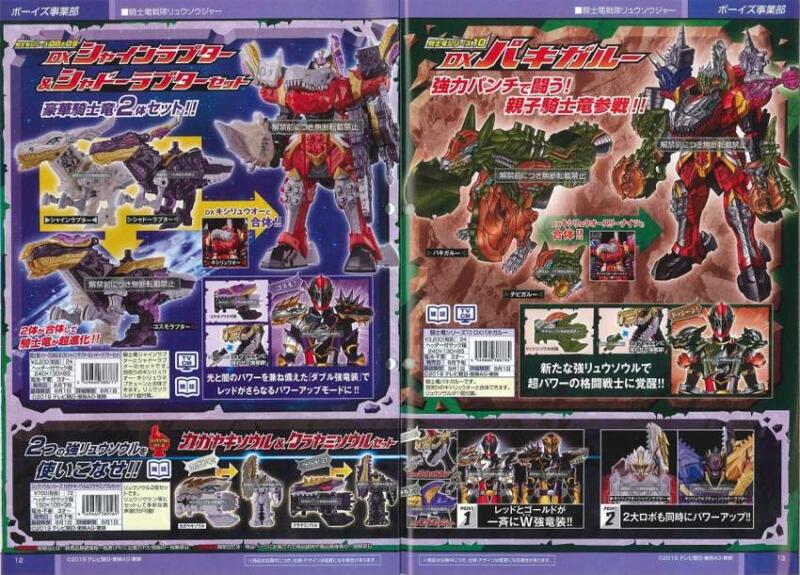 But I'll be damned those Zords really look badass. 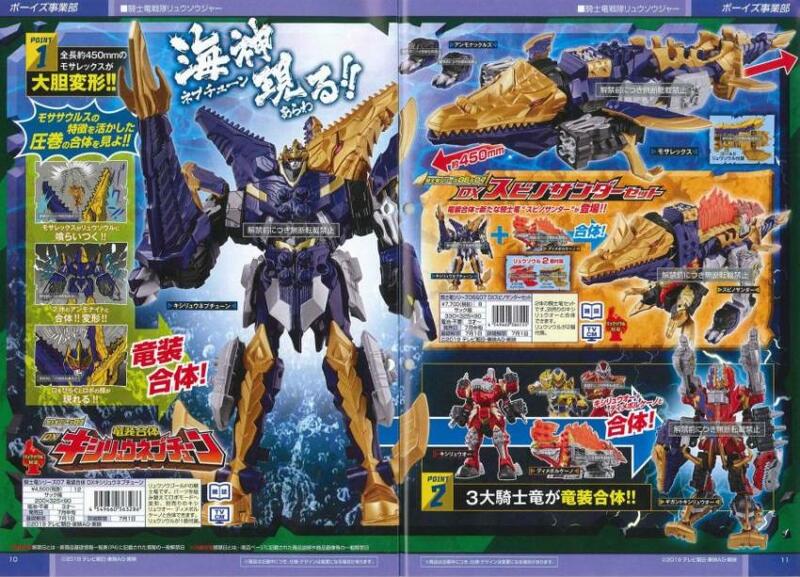 MosaRex looks like RyusoulGold could be easily mistaken for RyusoulNavy (and I would love to call him that instead.). And those twin Zords are pretty cool. Yeah, I'm liking the look of the mecha but I hope the others get armour and not just red and gold. I like everything about MosaRex he amazing looking. The Mecha with him and red looks really good. Can’t wait to see it in the show. This year toys are so much better than that crap we got last year. I like everything about MosaRex he amazing looking. The Mecha with him and red looks really good. Can�t wait to see it in the show. LuPat Zords are terrible. Hell the only good looking ones are the X-Trains imo (Especially X Emperor Slash). Preach. 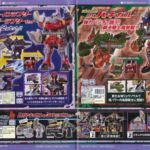 Thank goodness for the minipla, then, which abandon the RyuSouls. I'm concerned that Sentai now appears to be trying to ape Kamen Rider in terms of alternate forms for heroes. The mecha... 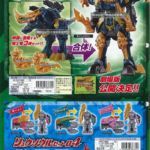 I'll be honest, that KishiRyuOh/MosaWhatever/DimeSomethin mecha combination is the first to look seriously dodgy to me. I think it's the clown shoes. The Zords look soo grate. I Hope this becomes a Power Rangers. The MosaRex is amazing! Glad to see some more underwater creatures. Reminds me of Kyoryuger's Plezu-Oh. Wait; why did I not immediately get the pun in "Spino Thunder?" Sounds like a Power Rangers wink to me. All times are GMT -4. The time now is 7:21 AM.